Rugged and reliable 65.2 hp (48.6 kW) Kubota turbo-charged Tier 4 Final (Stage IIIB) diesel engine delivers unmatched, class-leading power with ultra-low emissions. 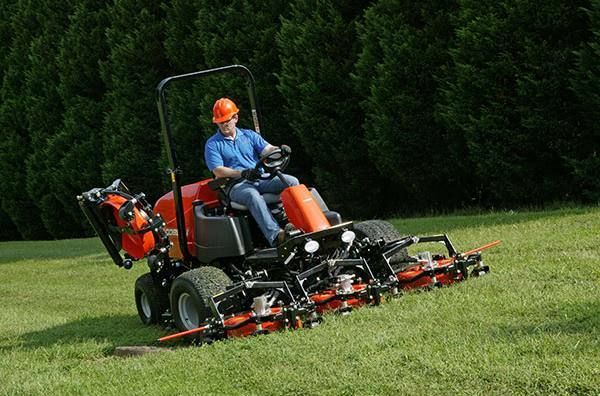 Get more done in less time with a massive 124 in. (3.15 m) total width-of-cut that mows up to 8.7 acres per hour (3.52 ha/h). The ergonomic cockpit was designed for operator comfort and features a premium air-ride suspension seat, tilt steering wheel and an intuitive control console. Standard foldable ROPS keeps the operator safe and allows maneuverability in low-height areas. SureTrac parallel-cross-series four-wheel drive traction system transfers power where needed to climb hillsides and glide over contours with ease. 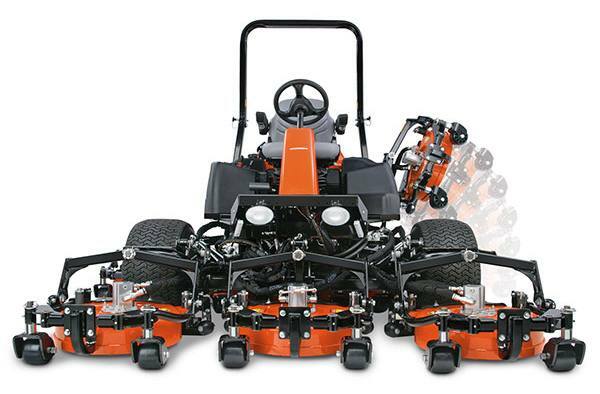 Joystick-controlled deck hydraulic lift system with individual controls for rear wing decks allowing operators to mow with five, six or seven decks and providing mow-width flexibility and maneuverability around obstacles.